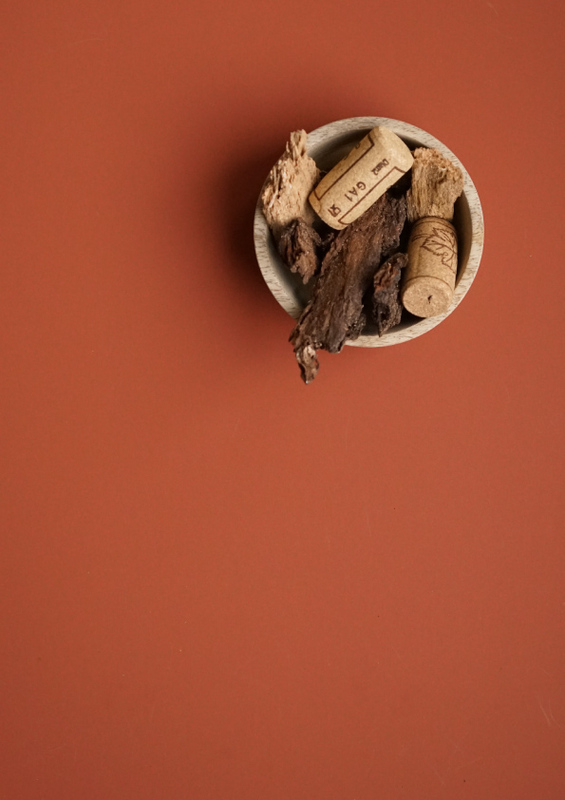 Jan 5 Discover B.Cork™ by Tintex; an award winning textile made from pre-consumer cork waste. During the month of January Tactile Trends are featuring textiles, brands, art and products that are made using recycled or recovered materials. There is a growing eco-consciousness among consumers as we continue to see an increased interest in circular products and businesses. One such circular business is Tintex, a Portuguese textile company with a commitment to sustainability using an impressive 98% of recycled or recovered materials. Tactile Trends met Tintex at fabric tradeshow Munich Fabric Start where Tintex showcased award winning material B.Cork™, a circular economy centric material, that sources certified pre-consumer cork waste. Tactile Trends photographed the B.Cork™ collection to visually tell the story of this responsible, creative and versatile material. Pre-consumer cork waste is the starting point for B.Cork as we look at natures building blocks of bark, leaves and branches to add context. We see cork elevated from a craft material when combined with unique Tintex technology resulting in a breathable, water proof and durable material with an eco-conscience. Surface textures are flecked with varying degrees of density reminding us of cork in its natural state and provoking the urge to touch. A malleable coated, fabric face and cotton back emphasizes a natural vs technical contrast. Colours are neutral, minimal and modern in biscuit, terracotta, bark and charcoal. Materials like B.Cork are important for the fashion and textile industry not solely because of their circularity but also because of the creative approach employed in their development. The ultimate circular product should be forward facing in technology, responsibility and creativity. When each of those criteria is met it inspires collaboration enabling designers to create future proof, aesthetically pleasing products that serve multiple functions. When we can appeal to consumers on many levels like this the awareness and urgency for circular products increases. As a consumer, would a product made from recycled materials appeal to you more than a product made from non-recycled materials? Leave a comment below and let us know. To see more Tintex innovations you can head over to their website here. Be the first to hear about new reports and articles like this by signing up to the Tactile Trends newsletter here. Jan 11 Creative Design and Storytelling Through Recycled Materials - In Conversation with Dutch Design & Innovation Studio PLANQ.